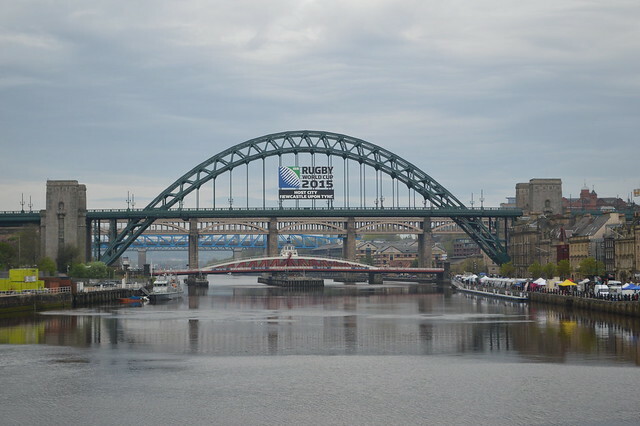 For the last few weeks we have been checking the weather with regards to visiting the Quayside Sunday Market in Newcastle-upon-Tyne. Up until yesterday it had been raining most Sundays, according to the forecast. Yesterday the weather forecast was good, which was ironic because when we departed Easington Colliery it was lashing down with rain. 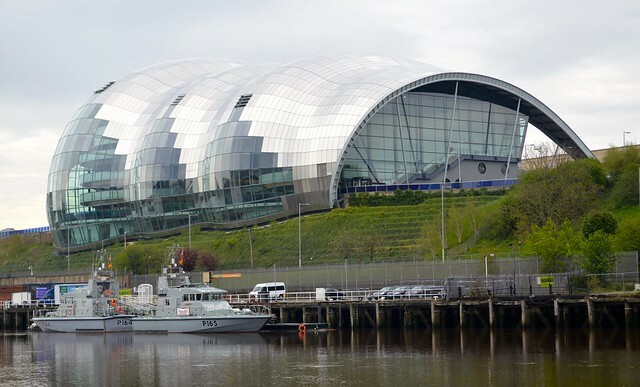 Thankfully by the time we arrived in Gateshead, and parked near the BALTIC Centre for Contemporary Art, the rain had stopped, but it was still very overcast, and there was a chill in the air. 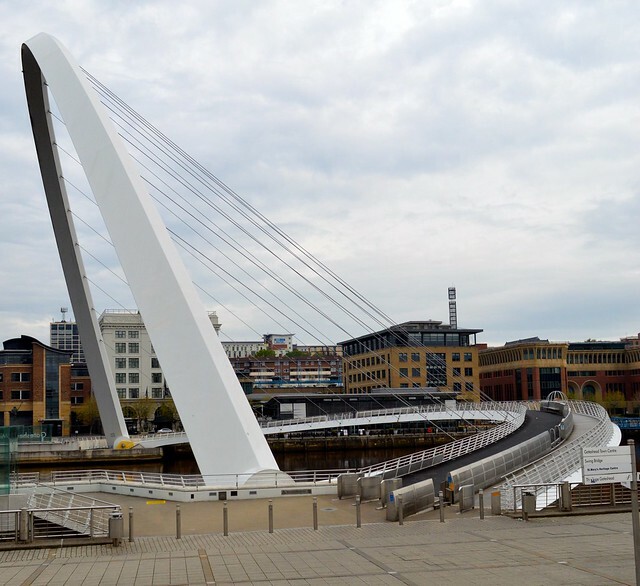 We parked up and walked over the Gateshead Millennium Bridge into Newcastle-Upon-Tyne. 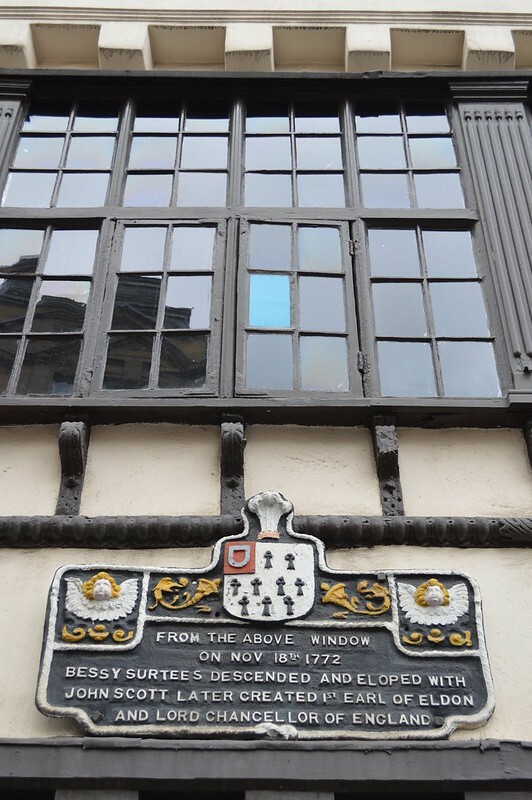 It was our first ever visit to Newcastle-Upon-Tyne, despite having lived a mere 30 minutes drive away for nearly two years now, but we do not believe in rushing things. We had a wander along the stalls in the Quayside Market, which was a little smaller then we’d expected, then we veered into to the town for a little while, to have a look round and take some photos. If the weather had been sunnier I would definitely have shot a lot more photos, but even though it was very dull and cloudy I still managed to snap quite a few shots; mainly of the buildings near to the market. Mini photo safari over we headed back to the market to do a little shopping at some of the food stalls. Back in the Quayside Market we got stuck into mass consumerism, well, maybe mini consumerism is a more accurate description. First on the list of purchases were some sausages from the Geordie Banger Company. 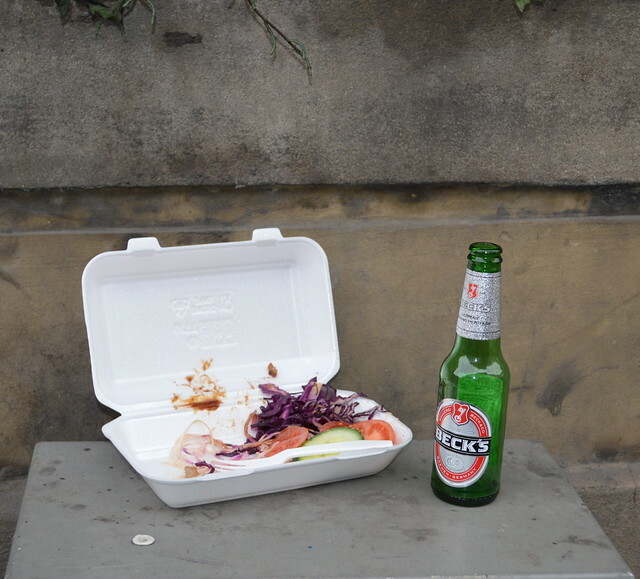 This was the main reason we wanted to go to the Quayside Sunday Market; to buy some of these tasty bangers. 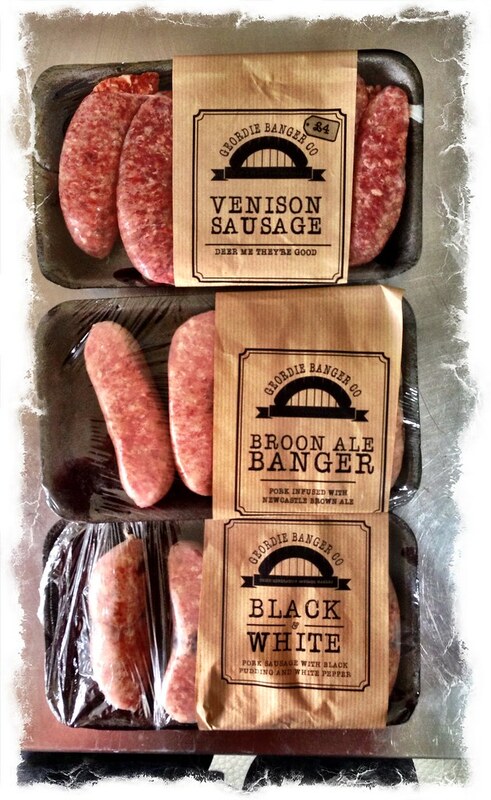 We had picked-up some of their fine bangers when we visited the Bishop Auckland Food Festival 2015 a few weeks ago, and they were mighty tasty. We’d purchased the Geordie Banger sausages the first time, so this time I wanted to try some of their other sausages. They sell three packs of sausages for £10, I chose a pack of the Venison, Broon Ale, and the Black & White sausages. I cooked one of each of the different sausages last night for me and Laura to share for our dinner, all of which were very good, we especially enjoyed the Black & White, which is pork with black pudding – very tasty! 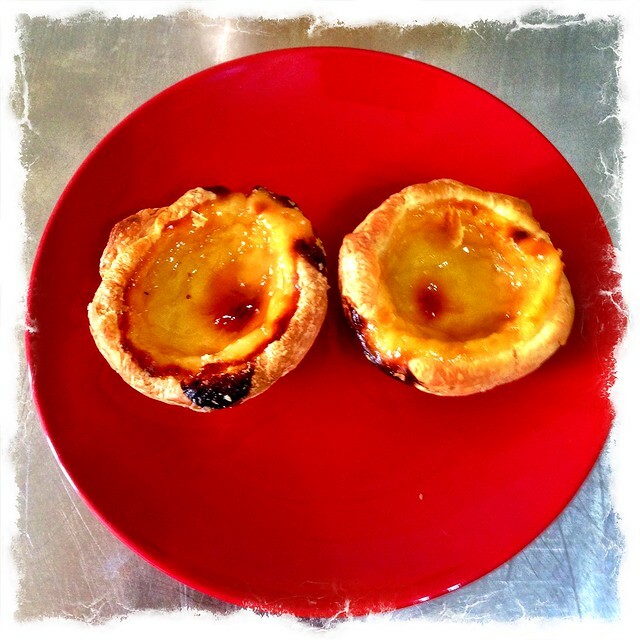 Next purchase were a couple of Pastis de Natas, a Portuguese custard tart. Many years ago when we lived in little Lisbon (Vauxhall) in London, we would often have one of these with a coffee for breakfast in our local cafe. These were equally as good as the Portuguese custard tarts we’d eaten in London, or indeed the ones we enjoyed in Portugal. Having said that, I’m pleased I only bought us one custard tart each, because they were very sweet. I think it’s because our tastes have changed, we don’t have much sugar in our diet now, and in London we always ate our Pastis de Natas accompanied with an espresso, the bitterness of which balanced the sweetness of the pastry. My last purchase of the morning was a selection of cheese, from one of the two cheese stalls at the Quayside Sunday Market. 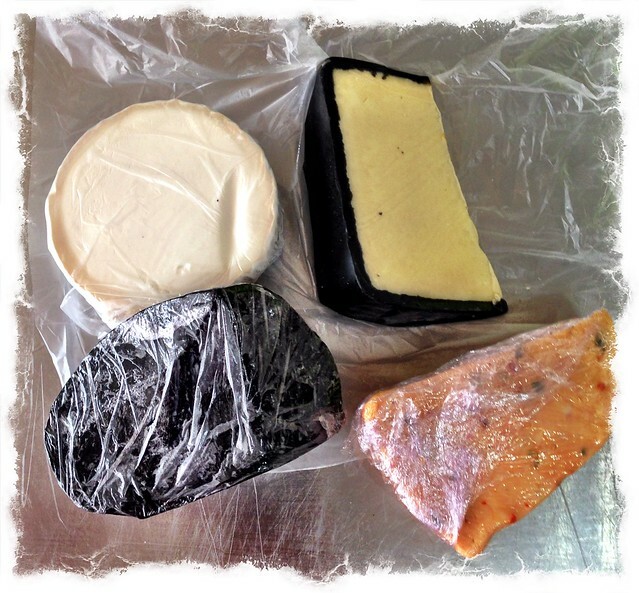 The stall had a decent choice of cheese, of which I chose four; a cheese with charcoal; which is reportedly good for the digestion, another was called Black Bomber from Snowdonia, plus a soft goats cheese, and a cheddar with chilli in it. Thankfully we’re not lactose intolerant. As we wandered back towards the car Laura vanished from sight, she had found a stall selling stuff for pets, and she is a real sucker for buying treats for our Lurcher, Barley. He ended up with a Tugg Plus chew bone from Husse. 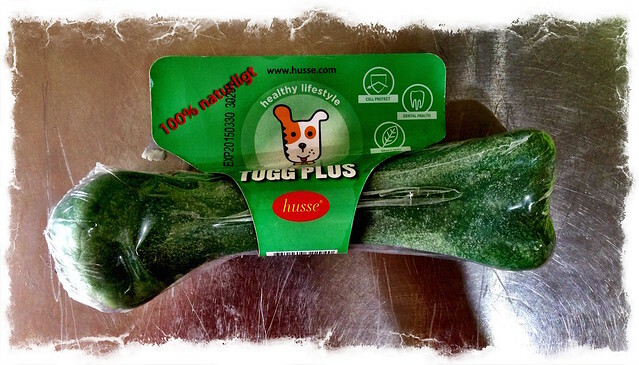 The chew bone is made with chicken and green tea, and is all natural. Hopefully Barley will enjoy it, and it will help keep his pearly whites clean. It was an enjoyable morning. 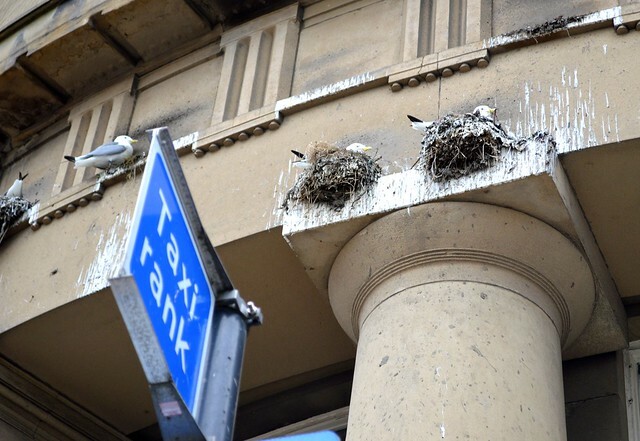 We got to see a bit of Newcastle-upon-Tyne, and we come away with a few goodies. Best of all – we kept dry. 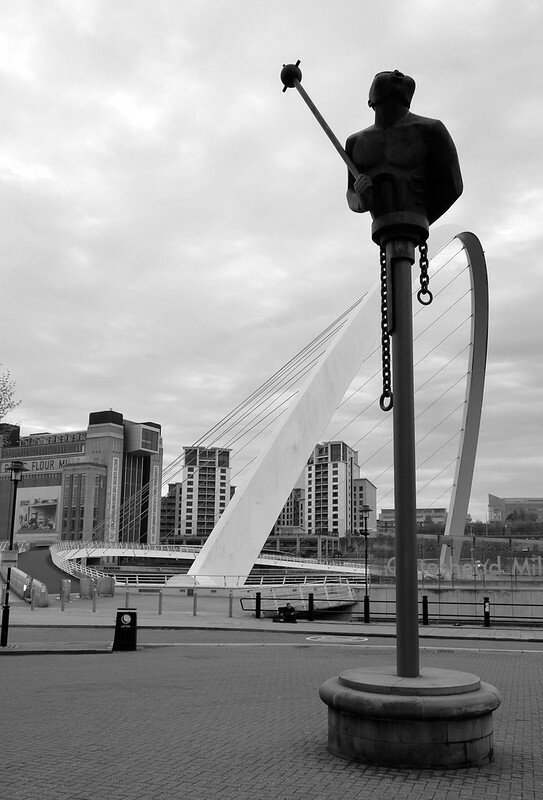 This entry was posted in Our travels in England, Photos, Random Musings and tagged Gateshead Millennium Bridge, Geordie Bangers, Husse, Newcastle-Upon-Tyne, Tyne Bridge on May 11, 2015 by Richard.